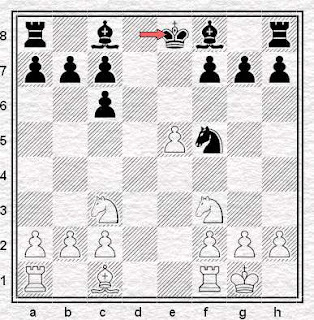 I also like the way the bishop doesn't go to b7 in the game - just in case you thought Black had actually played a pawn move for the purposes of development. I think it's great and in retrospect it's amazing that it took until 2000 for people to start playing it on any widespread level. 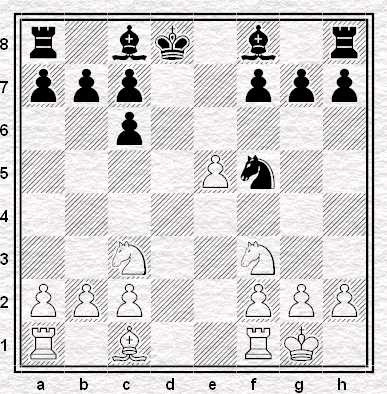 However, as JB knows, I think that in club and tournament chess you're going to see an awful lot of 5.Re1. White's optical space advantage is mitigated by the reduced material in the first diagram. I'd say white has more space rather than has a space advantage. Maybe a comparison can be made with the Flohr-Agzamov variation of the Alekhine where one line goes 1. e4 Nf6 2. e5 Nd5 3. d4 d6 4. Nf3 Bg5 5. Be2 c6 6. 0-0 Bxf3 7. 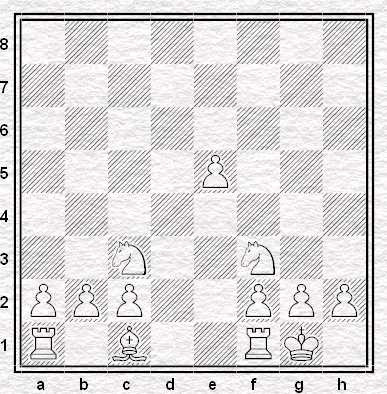 Bxf3 de 8. de e6 and White may play 9. c4 Ne7 10. Qxd8 Kxd8. 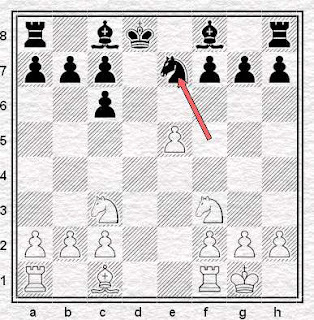 Here, though, it's clear that the White e5 pawn is a target. 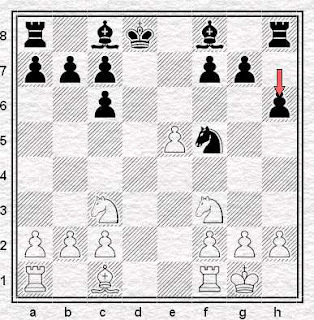 "I'd say white has more space rather than has a space advantage."